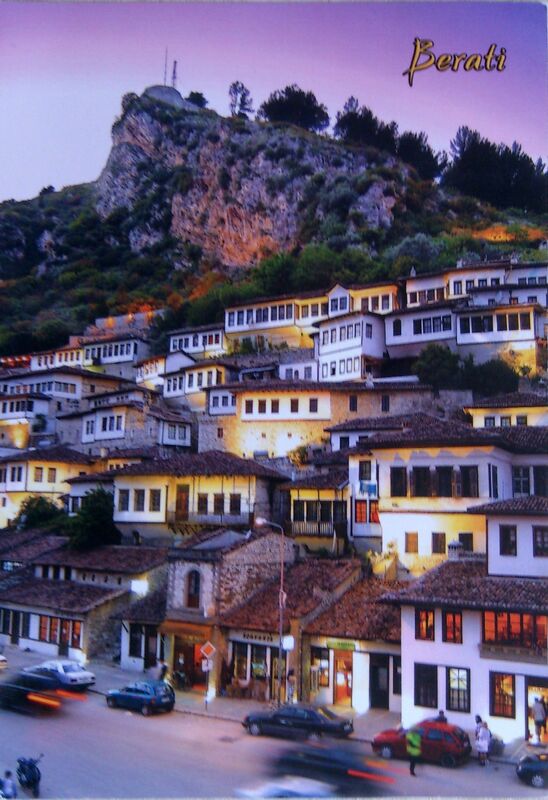 Berat is a town located in south-central Albania and the capital of both the District of Berat and the larger County of Berat. As of 2009, the town has an estimated population of around 71,000 people. In July 2008, the old town (Mangalem district) was inscribed on the UNESCO World Heritage List. The town is still renowned for its historic architecture and scenic beauty and is known as the “Town of a Thousand Windows”, due to the many large windows of the old decorated houses overlooking the town. It is unclear whether it really means “Thousand” (një mijë) or “One over Another” (një mbi një) windows. Indeed, the quarter is built in a very steep place and windows seem to be one over another. Actually, on this particular picture it reminds me very much of the way houses in Veliko Turnovo look like.